Is the latest track in YouTube tapping your feet? How about getting it over your system? Oh yes, now groove to the video you want or the desired song on your system by using making use of the converters. So, we’ve collated 3 best ways for converting link to MP4 from YouTube, FaceBook, Twitter etc. Read on to know how! 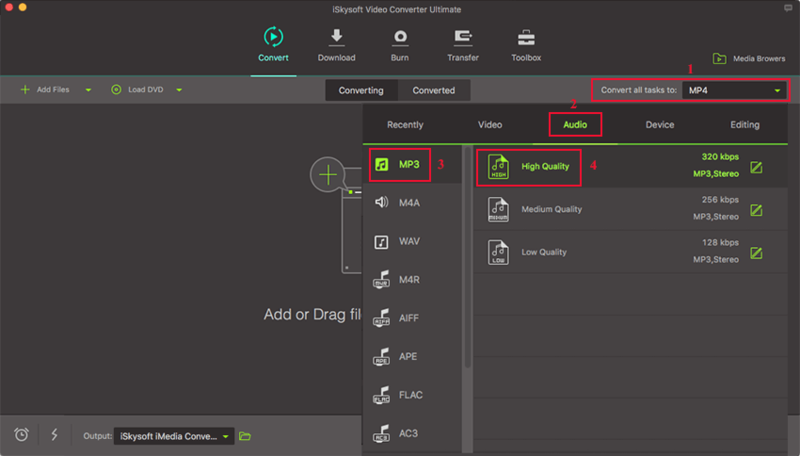 Your search for an ultimate converter carrying conversion in a hassle-free manner ends with iSkysoft Video Converter Ultimate. For it is furnished with the latest technology, this dynamic link downloader to MP4 converts, downloads, compresses and make the modifications in an unbelievably higher speed. iSkysoft stretches its compatibility with an array of sources in formats and you can easily share the converted video to your favorite medium like Facebook, Twitter, Instagram etc. 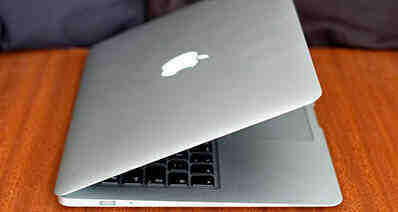 It carries out the conversion the desired link to mp4 with 90 times faster speed. 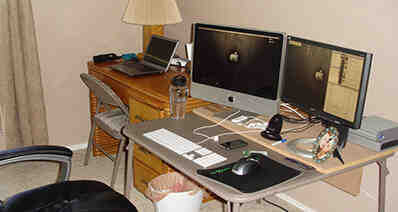 It assures to pose no dent on the quality while converting link to mp4. It is robust enough to download entire YouTube playlist and supports in capturing audio from online video recording. Enhancement on the video by making use of the in-built video editor for carrying out cropping, trimming, rotating, adding watermarks, subtitles and special effects is possible with this software. You can burn blu-ray disc and DVD by employing free templates from your respective computer or PC. The edited video can be transferred to Android phone/iPhone or the hard drive. It is useful in converting the links downloaded from Facebook, YouTube, Vimeo, Vevo and over a 1000+ platforms. You can even live stream the videos too. First and foremost, download iSkysoft iMedia Converter on your Mac and Windows PC. Proceed to installing and launching it. Now, fetch the link of your favorite YouTube video and copy it. Note: It converts link to MP4 more than from YouTube. It supports over 1000 online video sharing sites such as Facebook, Twitter, Vimeo, Vevo, Vudu and others. To initiate the conversion process, all you have to do is, go to "Download" tab and hit the ‘Paste URL’ button. 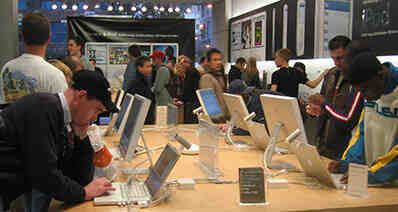 The software will kick-start downloading the link to Mp4 format. It will take a few seconds to finish the conversion. After that, you can find the video from the "Finish" tab. It's now converted in MP4 on your computer. Using USB cable, draw connection of your Android/iPhone with PC respectively. Now from ‘Finished’ list in ‘Download’ tab, find the video you just downloaded. Click‘Add to Transfer’ button appearing on the right of each file. Or, by right clicking the file and selecting ‘Add to Transfer List’ for accomplishing the importing of files. After you have successfully imported the files, hit the ‘Transfer All’ button. To transfer files individually, click on ‘Transfer’ button at the display bar of each video. That’s it! Now, stream the videos and songs you love whenever you want! The ever famous, OVC or Online Video Convertor is a web-based application that converts your favorite video link to MP4 in high quality. One just has to paste the link, select the format and download the video in less than 5 minutes. OVC stretches compatibility with popular video formats like MPG, MP$, MOV,M4V, WEBM etc. Follow down the instructions to convert link to MP4. Step 1. Firstly, get the link of the video which you are looking to convert. 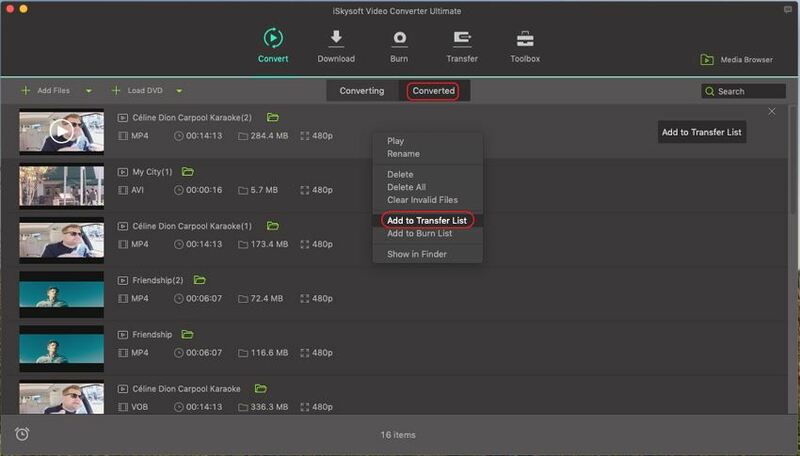 Now, head to https://www.onlinevideoconverter.com/youtube-converter, paste the link in the ‘paste box’ and opt for Mp4 format from drop-down menu in the ‘format’ section. Step 2. Click on ‘START’ and you will view a screen of ‘Your video is being Processed’ which will be indicative of video conversion is in process. The video you converted to Mp4 will be processed, just tap on ‘DOWNLOAD’ and play it on your system! If you are looking for a simple converter, ClipConverter is a good option. With its simple, user-friendly interface, it facilities in converting down MP3, M4A, AAC, MOV, MKV file formats in a simple manner. Moreover, you can share the video to Facebook, Vimeo and many other platforms. 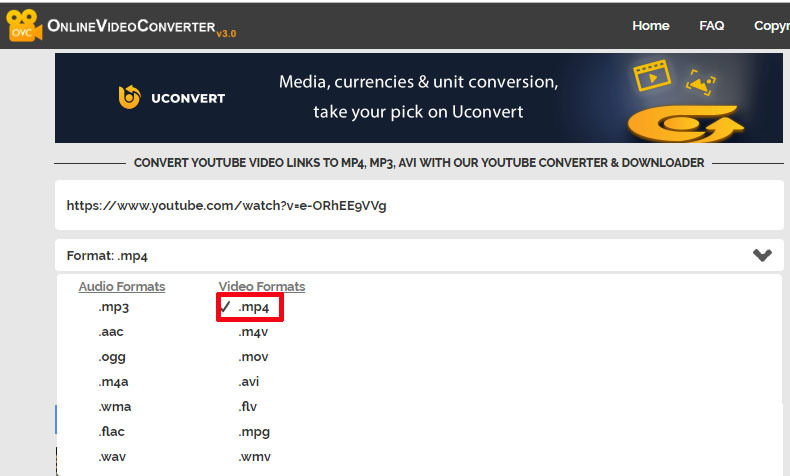 Here is the complete guide on how to convert link to MP4 and download YouTube video in a convenient manner. Step 1. 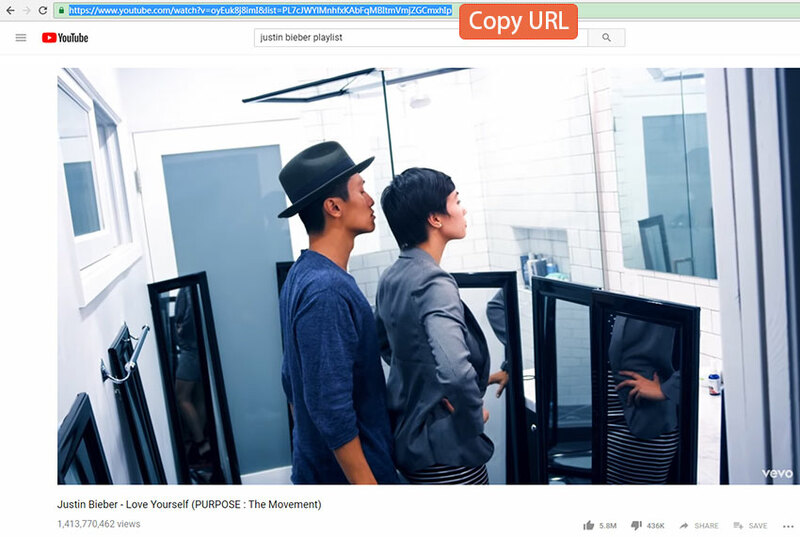 Keep the video URL handy and then paste YouTube URL over ‘Video URL’ and hit ‘Continue’ on the program. Now, opt for format (mp3, mp4, M4A) and quality (720p, 1080p, 2k, 4k) for completing the conversion. Step 2. Once through with selections, press on ‘Start’ button visible at the bottom to process the conversion. You need to patiently wait for several minutes. Once the conversion gets completed, you can proceed with downloading the converted file. Thus, you will successfully convert the link to mp4. 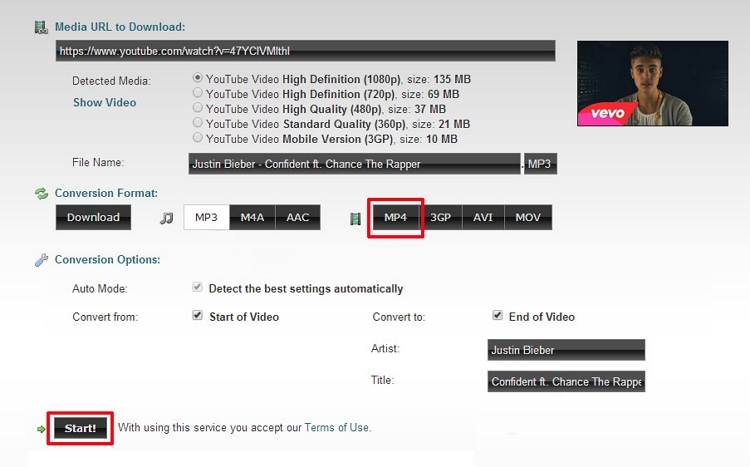 We hope you have understood the 3 ways useful in converting link to MP4. While, there are simple tools to process conversion. But, to experience conversion in lightning speed, iSkysoft Video Converter Ultimate is the great option to ponder over. One can compress, download, burn CDs and make modifications over the video.